Airpocalyose-III is a report released by Greenpeace analysing the data of 313 cities and towns of the country for air pollution in 2017. It questioned the non inclusion of 139 cities which crossed the National Ambient Air Quality Standards (NAAQS) in to the National Clean Air Programme (NCAP). Analysed the data on air pollution for 313 cities and towns in the country. 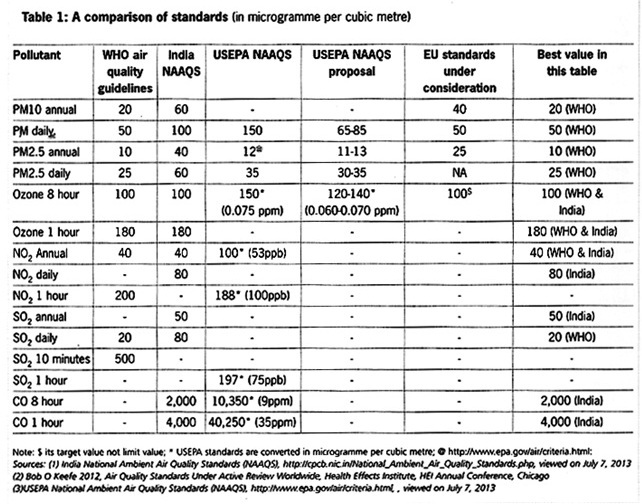 241 of these have PM 10 levels above the NAAQS standards. 102 cities of 313 are added to the NCAP launched recently by the government while leaving behind 139 cities and towns. As per the report, even 30% of the pollution in the country is reduced by NCAP, still 153 cities will be polluted with levels above the NAAQS standards. 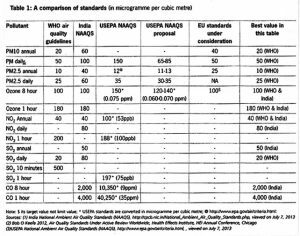 In 2017, some cities that have been non-included for NCAP have pollution levels of more than 1 million and PM levels are exceeding NAAQS. Report claims that the pollution data of these cities and towns were available for the government during the framing of NCAP and it makes no sense to leave them from the list. It is a programme launched by the government to tackle air pollution in the country in a time-time-bound manner. Under the programme, 102 cities across the country were chosen based on the levels of Particulate Matter (PM) in the air that are over and above NAAQS standards consistent for over five years. These cities are hotspots of pollution in the country. The target is to reduce the PM2.5 and PM10 concentration in the air by 20-30% over the annual average levels of 2017 in the next five years. The objective of the programme is to plans for preventing, controlling and abatement of air pollution in these cities. The Ministry of Forests, Environment and Climate Change has already asked these cities to submit their plans for tackling air pollution. Via a gazette notification using powers conferred to it udner the Air (Prevention and Control of Pollution) Act, 1981 the Central Pollution Control Board has released the following National Ambient Air Quality Standards (NAAQS). India is consistently topping the rankings for being the most polluted country in the world. Part due to climatic factors and majorly due to economic activities, an end to the current air pollution scenario is nowhere to be seen. The particulate matter pollution which is more dangerous and causing high infant mortality is especially pronounced in the northern part of the country. In the southern part, though PM pollution is less, there is an increase in gaseous pollution. Overall the pollution levels in the country are affecting its economic productivity in the form of rising morbidity of people due to pollution. Many programmes have been launched to tackle the situation but reduction in pollution levels are nowhere to be seen. On their part, private enterprises are putting efforts to reduce their air pollution footprint. But, more efforts are needed to tackle air pollution in our country at a fast pace.